Saratoga Springs is known for many things: its importance in the history of our nation’s fight for independence from Britain; the healing springs that drew scores of people from around the world from the early 1800’s through the Gilded Age; and, of course, the majesty of the thoroughbreds as they thunder around the historic oval of the oldest flat track in the country during July and August. The city of “Health, History and Horses” is also fast becoming known for something else. 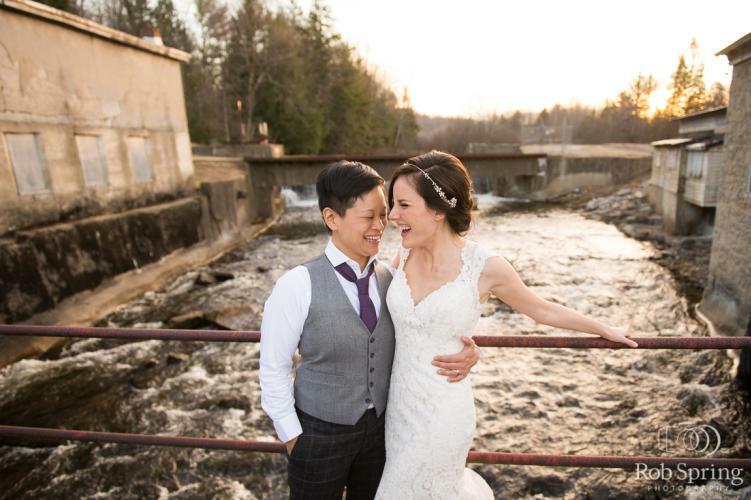 More and more couples from near and far are making Saratoga Springs their choice for saying “I Do.” It is no surprise that Saratoga is rapidly gaining a reputation as a destination wedding locale. The city and surrounding area have something, quite literally, for everyone in every season. The city of Saratoga is experiencing a rebirth of the popularity it enjoyed during the Gilded Age, a time when industrialists, magnates and movie stars enjoyed the opulence offered by hotels like the Grand Union, the Rip Van Dam, the Adelphi, and the renowned Casino in historic Congress Park. Today, thanks to the diligent efforts of private citizens, local businesses and organizations like Discover Saratoga, the city continues to open its arms to couples and their families with an array of venues unlike any others to be found around the country. Saratoga has long been known as a great place to party the night away. With numerous cafes, bistros, bars and nightclubs, any wedding party would be hard pressed not to find just the right nightspot to hold a bachelor or bachelorette party, rehearsal dinner or just a fun night out for family and friends. And as far as wedding venues go, how many other small cities can boast of having historic mansions, Victorian-age casinos and great halls all within a mile or two of classic polo fields, world class golf courses, Saratoga Lake, and the historic Saratoga Racecourse. In 2016, Saratoga Springs welcomed the Saratoga “debut” of a super nova of the wedding industry. 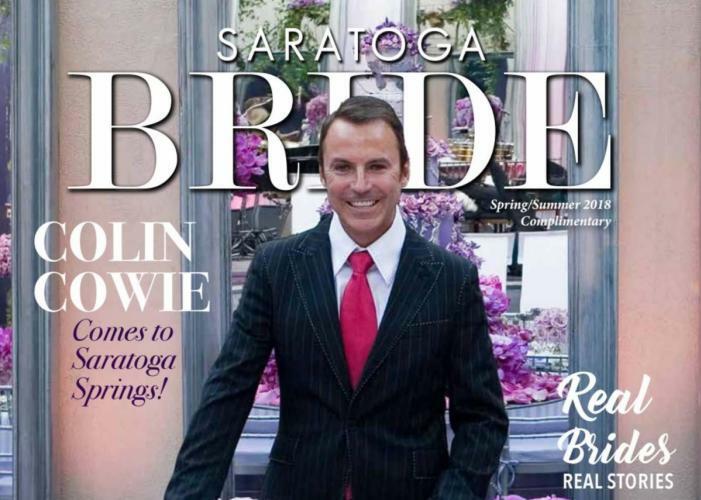 Colin Cowie, wedding and event planner to the stars, partnered with Mazzone Hospitality to create one of the most memorable weddings of the year, held at the Saratoga Performing Arts Center. Cowie fell in love with the region. So, it wasn’t a huge surprise when he decided to open a satellite office here. Of course, Saratoga residents have become accustomed to seeing celebs from all walks of life making Saratoga Springs a getaway destination, whether it is for the annual yearling sales at Fasig-Tipton, the summer concert and ballet season at Saratoga Performing Arts Center, or as a great vacation location for boating, hiking, skiing or leaf-peeping. On any given day during the summer months, it’s not unusual to see the likes of Bobby Flay in the clubhouse at Saratoga racecourse, or catch glimpses of members of the New York City Ballet lounging at the iconic Victoria Pool in the State Park. The city’s quaint, yet cosmopolitan downtown scene has drawn accolades from Travel & Leisure, Yahoo, Esquire and Vogue magazine, among others. And our restaurants continue to attract world class culinary talent from around the country and even as far as Europe and the Far East. The cultural and social diversity of Saratoga Springs is one of the major reasons why it has become a wedding magnet for people from New York, Boston, Philadelphia, even as far as California. If Victoriana or contemporary hotels and restaurants are not what soon-to-be newlyweds are looking for, it’s only a short drive to discover rustic barn venues, historic battlefield sites, and gracious country mansions and inns. 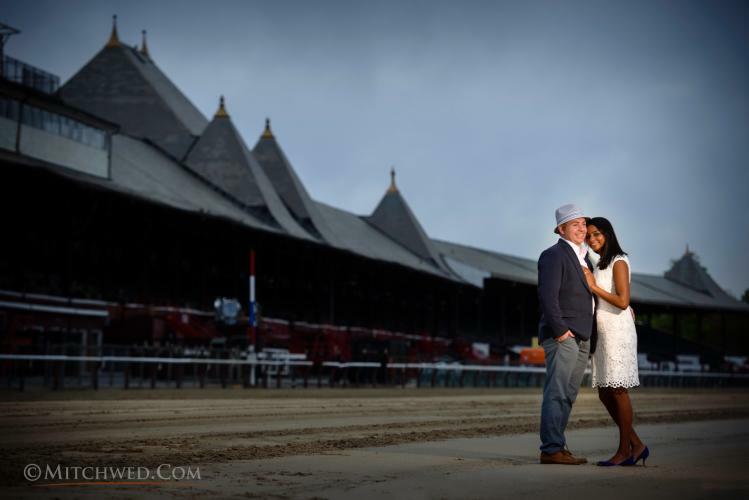 Tulsi Byrne and Brian Croke are young newlyweds who recently discovered Saratoga and chose it as their wedding destination. Tulsi is from Amherst, MA and Brian hails from Bay Ridge, Brooklyn. The couple currently lives in Manhattan. “We were looking to make our wedding a fun weekend away for our family and friends. Originally, we thought of doing a beach wedding, since we both love the ocean,” said Tulsi. Neither Tulsi nor Brian had ever visited Saratoga. But they had heard great things about it. After their engagement, they took a weekend road trip here from the city – and they immediately fell in love with it. The couple’s wedding took place on May 5, 2017 - Kentucky Derby weekend– and they pulled out all the stops, with their wedding on Friday night at the beautiful and historic Mansion Inn in nearby Rock City Falls. Tulsi and Brian chose that venue because they were looking for just the right balance of rustic and chic. “I’d definitely recommend it and the food was fantastic! 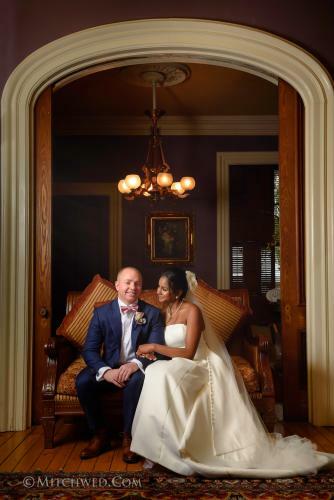 Our immediate family stayed at the mansion with us, and we were able to book additional wedding blocks for the bridal party and guests right in the heart of downtown,” said the couple. On Saturday, instead of the more typical wedding brunch, they held a Derby viewing party at a local bar in town and they handed out prizes to their guests for the best dressed. Tulsi and Brian took advantage of several local wedding vendors, many of whom they found courtesy of Discover Saratoga. They were able to do most of their planning by phone or email and they loved working with local florists, photographers, event planners and wedding supply companies. Of course, there is no such thing as a wedding that goes off without at least one hitch. 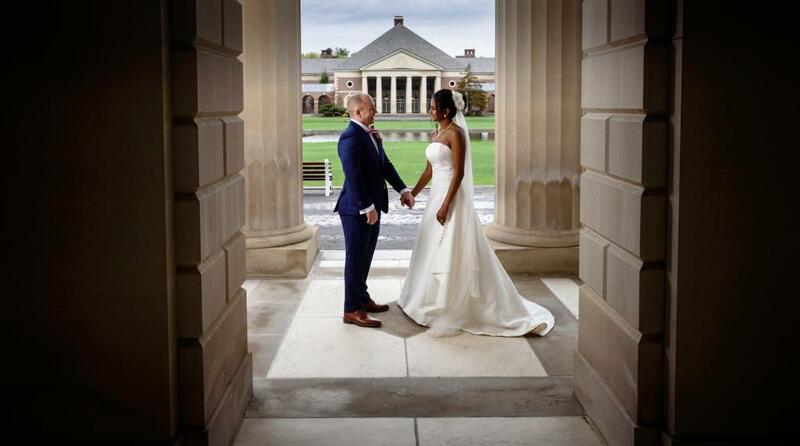 For Brian and Tulsi, it was the weather. They described their wedding day as a bit chilly and rainy; but that didn’t dampen their spirits. The couple was able to secure a tent from one of the area’s local tent rental businesses, with only a week to spare. And Tulsi said they were able to find matching rain boots for all her bridesmaids right in town on the morning of the wedding. Of course, anybody who knows anything about weddings knows that rain on your special day is considered good luck. While we can’t guarantee that you’ll end up being as lucky as Tulsi and Brian, you can be sure that, whatever your style, the city of Saratoga has something to offer for the most important day of your lives. Need help planning a Saratoga wedding? Discover Saratoga Weddings has you covered. 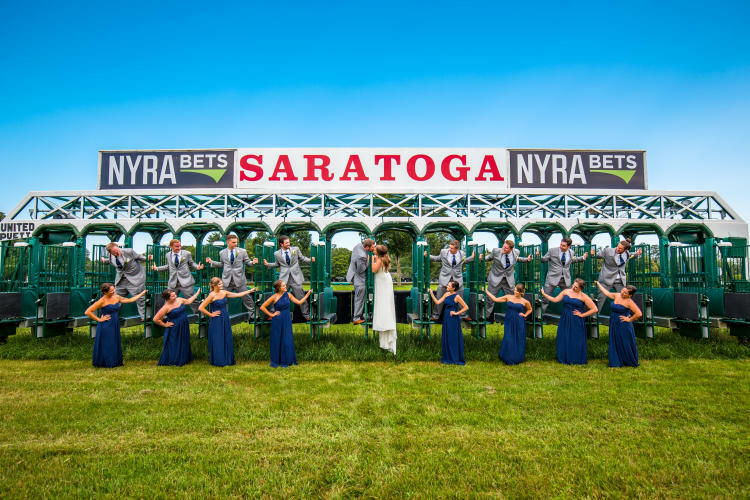 From a comprehensive list of vendors and site tours to assistance with hotel room blocks and more, Discover Saratoga’s wedding expert will help make your day exceptional. Want to see more articles like this? Sign up for our Discover Saratoga newsletter! We promise we won&apos;t spam you. Header image and Tulsi & Brian wedding photos by Mitch Wojnarowicz Wedding Photojournalist. Additional photos by Carrow & Colasurdo and Rob Spring Photography. Maureen Werther is a writer, author and owner of WriteForYou, a marketing, communications and public relations firm located in Ballston Spa, NY. Her essays, articles and white papers appear in print and online for businesses, municipalities and nonprofit organizations, both locally and nationally. She is also the author of "Them That Has - The Story of a 1790's Adirondack House and the People Who Made it Famous," which is available at Northshire Bookstore in downtown Saratoga. She is currently working on a new book - a memoir about her life as a "serial entrepreneur." Maureen is the proud mom of two wonderful kids and she currently resides in the village of Ballston Spa.